- Five concrete gains that PIM creates for your business. Product Information Management (PIM) systems are often closely linked to e-commerce, and it is also true that a PIM system is almost indispensable if e-commerce is an important part of the business. However, the great emphasis on e-commerce sometimes overshadows the value that a PIM system creates in other parts of the business, which is the system’s greatest power: establishing a ”single source of truth” for product data, which can optimize all the company’s processes that involve product data. 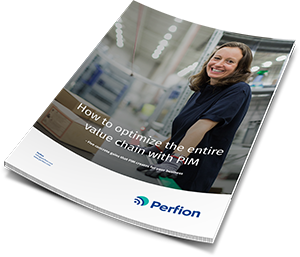 Therefore, in this whitepaper we will focus on how to utilize the PIM system as a motor for a number of business value chain optimizations, and on the concrete gains you can attain in product development, procurement, manufacturing, marketing, sales and after-market services.